The San Antonio Missions got two timely home runs from left fielder Tyler Saladino to lead to a 5-3 win over the Nashville Sounds Saturday night in San Antonio. It stayed 2-1 until the seventh inning as both starting pitchers dialed in. Nashville's Phillips Valdez allowed the home run but nothing the rest of his outing. He went 4 2/3 innings as he continued to build his pitch count. San Antonio's Burch Smith allowed the solo shot to Ibanez and that's it. He limited the Sounds to one run over six innings of work. 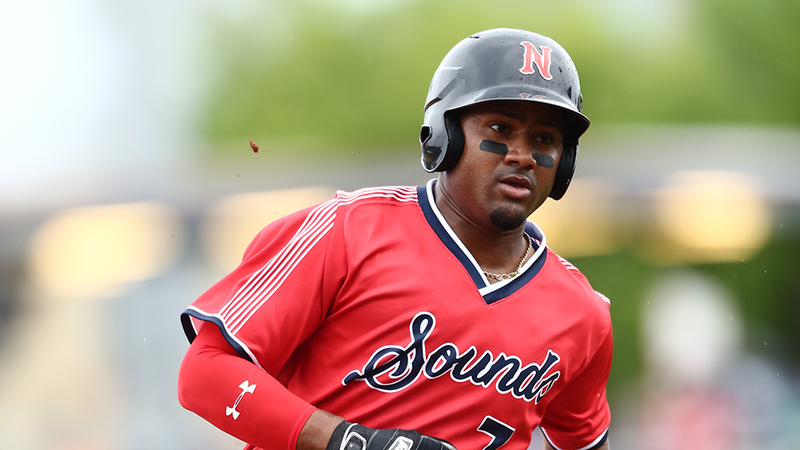 The Sounds put together a mini rally in the ninth, but it wasn't enough. Shortstop Eli White started the top of the inning with a sharp single up the middle. Willie Calhoun followed and ripped a double to right field. It chased White around from first to trim the deficit to 5-3. That was as close as it would get as Nolan Fontana's two-out fly ball was caught on the warning track to end the threat. - With tonight's 5-3 loss, the Sounds dropped to 3-7 on the season. - Andy Ibanez extended his hitting streak to a team-best seven games when he homered in the second inning. It was the first home run of the season for Ibanez. - Willie Calhoun's ninth inning double extended his on-base streak to 10 games. He has reached safely in every game of the season.